It's incredibly late for me here right now ..., so I have to leave this here. Don't know how many more updates they'll be this week, busy family weekend ahead. Groundbreaking Jon Lord Release "Concerto For Group And Orchestra"
New York, NY (August 21, 2012)—On September 25th, 2012, earMUSIC, the Hamburg-based rock label part of Edel Group and Eagle Rock Entertainment will release the first studio recording of Jon Lord's groundbreaking meeting of rock and classical music - Concerto For Group And Orchestra. This will be released as a CD, CD/DVD (audio DVD in 5.1 Dolby Digital Sound), and digitally. Jon Lord recorded the rhythm section - Guy Pratt (Pink Floyd, Madonna) and Brett Morgan (Jon Anderson, Sting) and the Royal Liverpool Philharmonic Orchestra (with whom Jon had recorded twice before) in June 2011 in Liverpool, under conductor Paul Mann. The production then moved to Abbey Road Studios in London to record additions from such noted artists as Iron Maiden‘s Bruce Dickinson (on vocals with Steve Balsamo and Kasia Laska) and Joe Bonamassa, Darin Vasilev and Steve Morse. The family and earMUSIC decided to proceed with the release of the album in September as scheduled, as this seemed the best way to celebrate and pay tribute to Jon and his beautiful music. 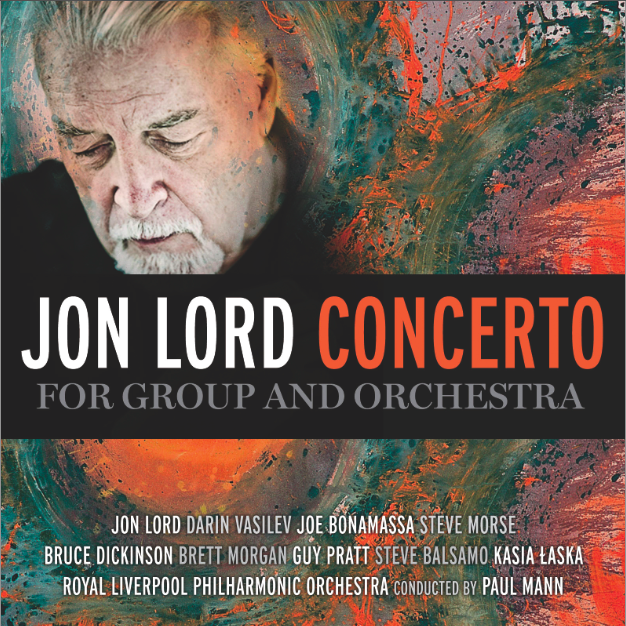 Thus this superb studio recording of Concerto For Group And Orchestra is exactly the way Jon wanted us to hear it and will now hopefully become part of Jon's legacy for generations to come. 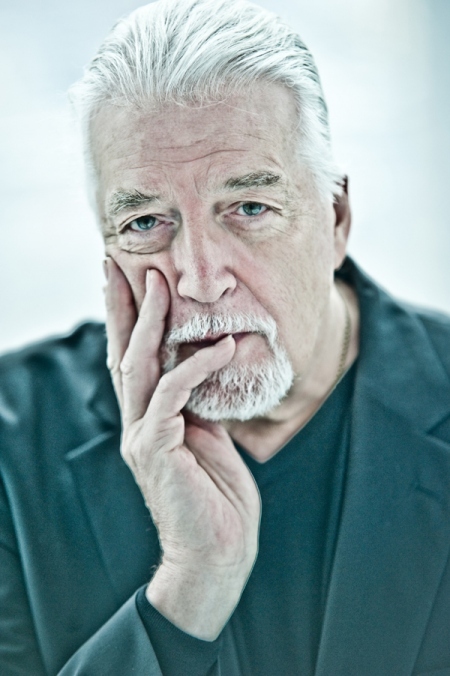 With his legendary blues-rock sound, Deep Purple’s founder/organist Jon Lord has influenced decades of rock musicians. He is with no doubt the pioneer of fusing rock and classical/baroque forms and became one of the most important composers of the last few decades. Jon Lord co-wrote many of Deep Purple’s legendary songs including “Smoke On The Water” and played with many bands and musicians throughout his career (Whitesnake, Paice Ashton Lord, George Harrison). Best known for his orchestral work Concerto For Group And Orchestra first performed and recorded at Royal Albert Hall with Deep Purple and the Royal Philharmonic Orchestra in 1969, conducted by the renowned Malcolm Arnold - a feat repeated in 1999 when it was again performed at the Royal Albert Hall by the London Symphony Orchestra and Deep Purple. Jon’s solo work was universally acclaimed when he eventually retired from Deep Purple in 2002 but he continued to tour the Concerto around the world to sell-out crowds and standing ovations. August 20, 2012 -- Singer/songwriter/multi-instrumentalist Tom Keifer (Cinderella) is finally releasing his long-awaited and highly anticipated solo album in the Spring of 2013 after entering into a partnership with Merovee Records (a joint venture with Worldwide Pants, Inc.). The as-yet-untitled collection of 14 new songs ranges from intimate, organic, acoustic tracks to driving hard rock. It embraces the blues, rock and country roots that have always been present in his unique sound that has generated the sale of over 15 million records worldwide. The upcoming release is a raw, introspective look at the roller coaster ride that has been Keifer’s life for the past 15 years. From being told that he would never sing again as a result of a partially paralyzed left vocal cord, to the emotional and personal battles that followed, his solo debut is a story of perseverance, a testament to the power of passion and will, when combined with a true love of music. Ed's note: I can tell you all, from a personal standpoint, seeing Tom fronting Cinderella last Saturday night, he sounded true to his classic sound, even if it was a pretty short set, just over an hour. 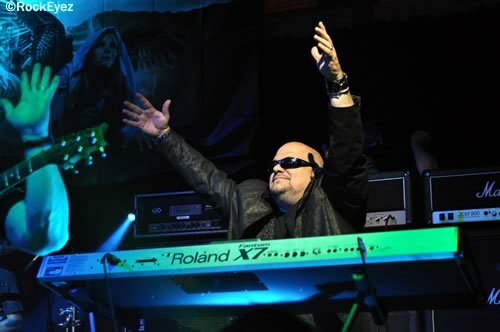 Liberty n' Justice is excited to announce its newest member on keyboards .... Eric Ragno! Eric joins JK Northrup and Justin Murr as the three of them continue to search for a lead singer and a drummer! Murr had this to say, "Our yet to be released double CD "The Cigar Chronicles" will be our last all-star album as LNJ stops being a project and becomes a band! When I spoke to JK and we had a dream list of players, Eric was on top of our list as a keyboardist! To have him him in this band is a thrill and what he brings in talent is a amazing! While waiting for "The Cigars" to be finished, the three of us started writing and recording some new music and we have great chemistry. I'm really excited for the future of LNJ...."
Northrup added,"I have had the privilege of working with the amazingly talented Eric Ragno on a number of different albums and projects over the past 5 years. Not only is Eric one of the most gifted musician/songwriters I know, but he is also one of the most amazing person's I know! Welcome aboard the "Liberty N' Justice" ship Brother Eric! It's going to be a fun ride." Eric finished by saying, "Wow...what can I say! My first collaboration with Justin Murr and Liberty n Justice was on the Light it Up album. The legacy that Justin has built has been pretty amazing, and consistent! We kept in touch, and I was thrilled when he invited me back to add keyboards to the upcoming CD The Cigar Chronicles. Justin seems to "get me" and my style, and has been both supportive & inclusive. Then, there's JK Northrup! I've admired JK forever, going back to his work with Paul Shortino! I was supremely happy with the way he mixed my keys on Ted Poley's Smile CD. When it came time to mix my own China Blue record, I knew JK would once again find the perfect balance of loud rock guitars and sweeping keyboards! Again, another guy I totally respect who completely "gets me"! I'd hoped to work with each of these men more in the future, but our schedules made it pretty impossible...until now. We've already started some great music together, with much more to follow! Stay tuned folks - we're on the brink of something great here. Be well & rock on! " 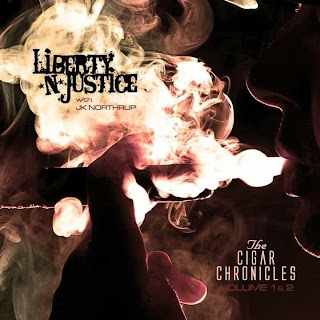 In other LNJ news, "The Cigar Chronicles" has been sent off for mastering. It features over 70 guest musicians including George Lynch (Dokken/ Lynch Mob), Kip Winger (Winger), Jeff LaBar (Cinderella), Tony Harnell (x-TNT), CJ Snare (Firehouse), Phil Lewis (LA Guns), Gunnar Nelson (Nelson), Tim Gaines (Stryper), Steve Brown (Trixter), Mark Kendall (Great White) plus many many more including Jani Lane (RIP - Warrant)! STYX - 2012 U.S. TOUR CONTINUES! August, 2012 -- There’s no slowing down for STYX (@STYXtheband), whose on-going U.S. tour continues through the rest of the year, with even more shows being added frequently to their already hectic schedule. Dates for 2013 are already in the works and will be announced soon. The band will be performing a pair of extra special shows in Las Vegas, NV at The Pearl at Palms Casino Resort on Friday, November 16 and Saturday, November 17. Doors at The Pearl will open at 7:00 PM and show time is 8:00 PM. Due to overwhelming demand Maryland rockers CLUTCH have added two shows to their short run this November. With both the Flint, MI and Detroit, MI shows sold out, the band has added an additional show to each city. The new show in Flint at the Machine Shop is scheduled for October 31st and the new show in Detroit at St. Andrews Hall is scheduled for November 4th. Tickets for both shows will go on sale this Friday August 17th. MonstrO will be opening all of the dates with Lionize providing direct support. In other CLUTCH news, the guys have commenced work on their new studio album. The band is currently in pre-production and is shooting to have the album out in early 2013. For those of you that are clamoring for new CLUTCH music the band recently released a limited edition picture disc single of the track "Pigtown Blues" via Weathermaker Music. The single is also available digitally. The A-Side is "Pigtown Blues" and the B-Side is an acoustic version of the track "Motherless Child". The disc can be found at your favorite record store as well as online at www.clutchmerch.com. 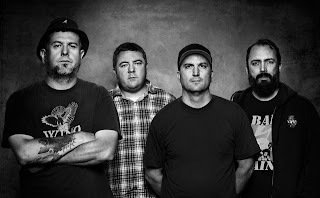 This is the first new studio material from CLUTCH since 2009's Strange Cousins From the West, and the first simultaneous worldwide release for Weathermaker Music. Want to be the first to know about everything CLUTCH related?